I'm blown away. In my opinion, it flies better than the regular ultra star. Same weight and size. My forehand flies flatter and truer, and I swear it seems like this thing gets more distance with less power. Don't believe me? Give it a try. I'm taking it to the field next Ultimate pick-up game to see what everybody else thinks. Give it a try and write you own review if you do or don't like it. I really hope it becomes the new standard for Ultimate. I throw a disc almost every day with friends, but my wife does not like have a hard disc hit her hands. When I saw this I thought I'd give it a try. She loves it! It is exactly what I had hoped it would be - the correct weight, throws and flies well, and is super forgiving if it hits a wrist or leg. 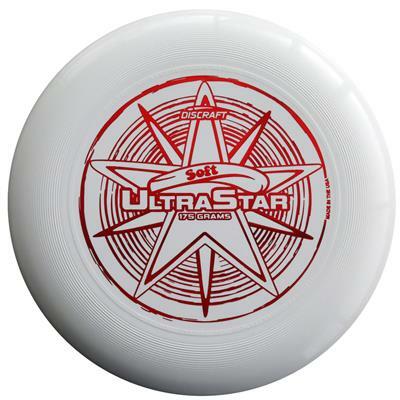 I have used it in a pretty strong wind and don't notice much difference at all between this disc and "regular" plastic Ultra-Stars. I highly recommend this product.